Video Game Maxi Poster: Enter the destructive world that has been so cleverly constructed by Bethesda! 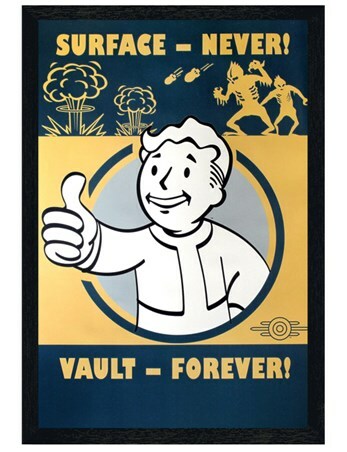 When an atomic war is approaching and your once perfect world has been turned into an apocalyptic wasteland what do you do? 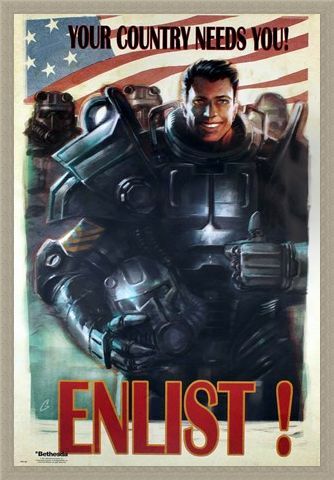 Enlist! Fallout 4 has caused mass hysteria as we sympathise for the characters and get tangled in the intricate story lines. 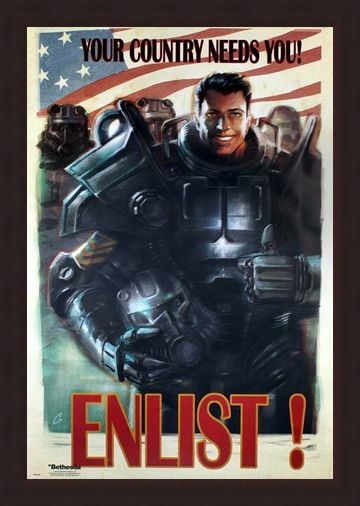 If you were captivated by this post-war franchise, this poster makes a great tribute. 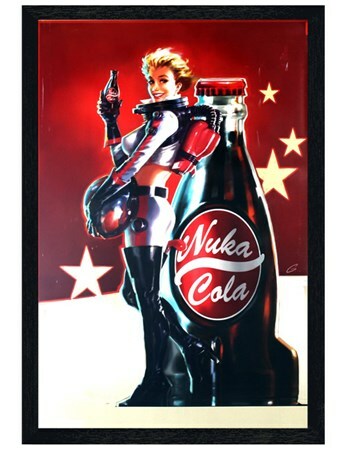 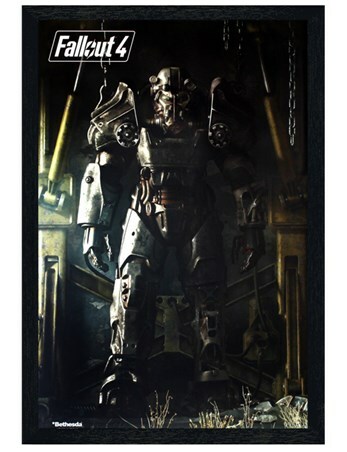 High quality, framed Your Country Needs you!, Fallout 4 poster with a bespoke frame by our custom framing service.